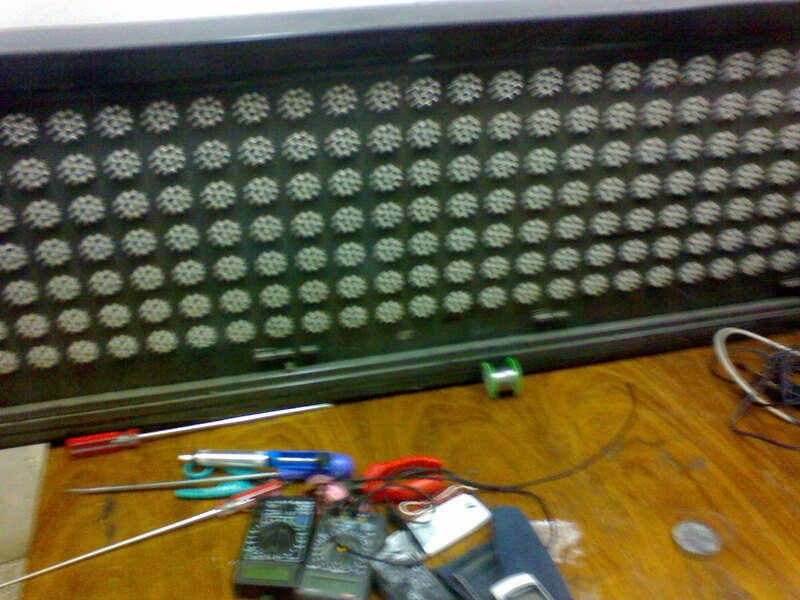 It is 220 volt AC to 12 volt DC half wave rectifier supply. 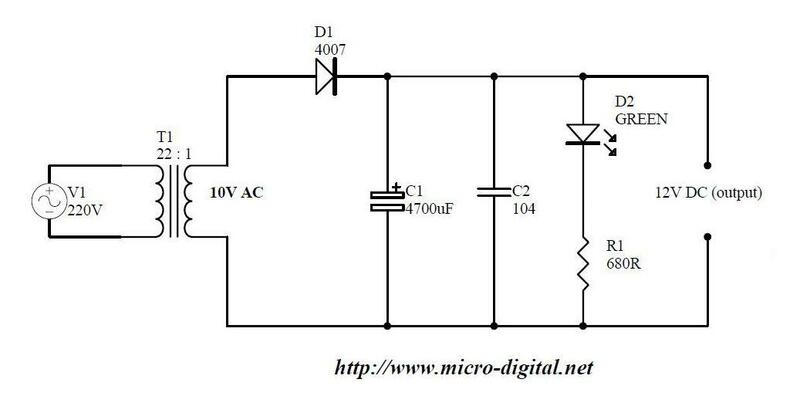 In this part diode D1 passes positive signal part and blocks negative part of the signal. 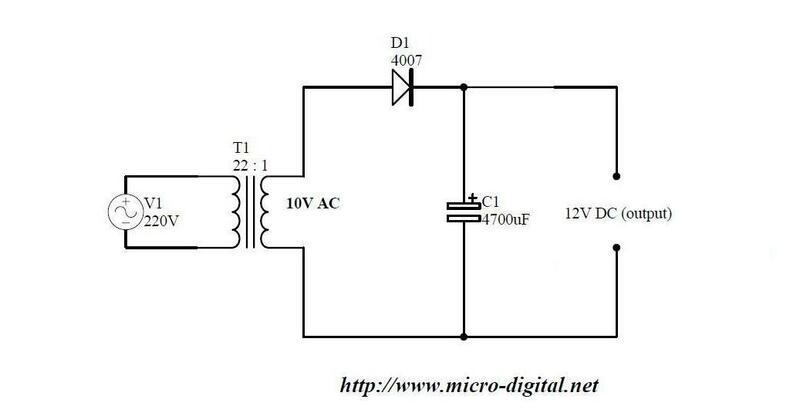 In this way half wave pulsating DC is available at output of diode D1. 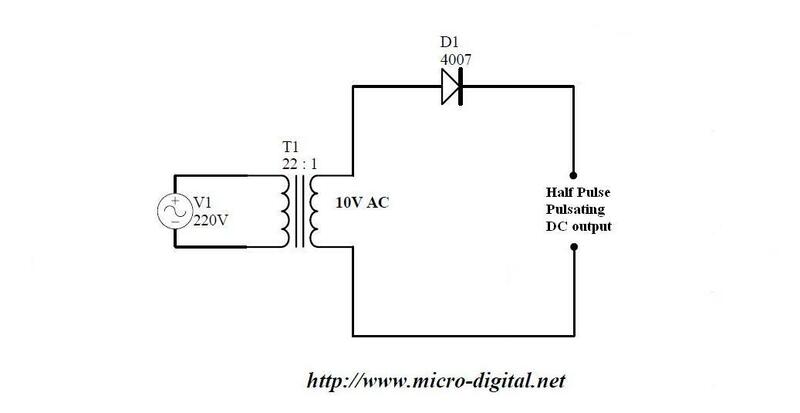 If we add capacitor C1 at diode output this half wave pulsating DC is stored in this capacitor. 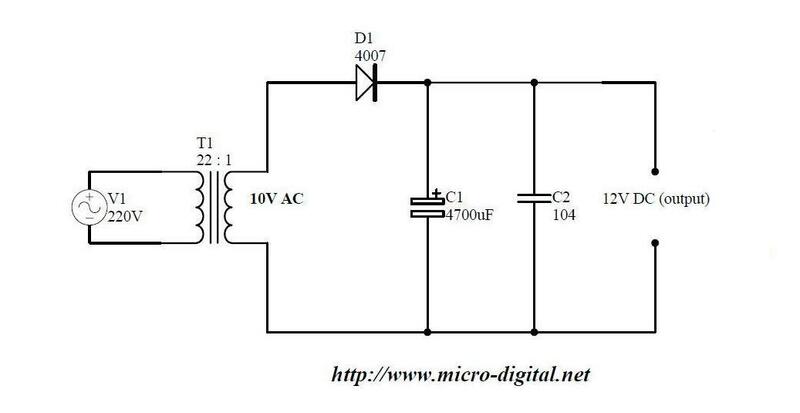 At every half cycle this capacitor is charged up and if this energy is not used by load (or in other words there is no path to discharge capacitor) then this capacitor is charged up to almost it’s rated voltage level. 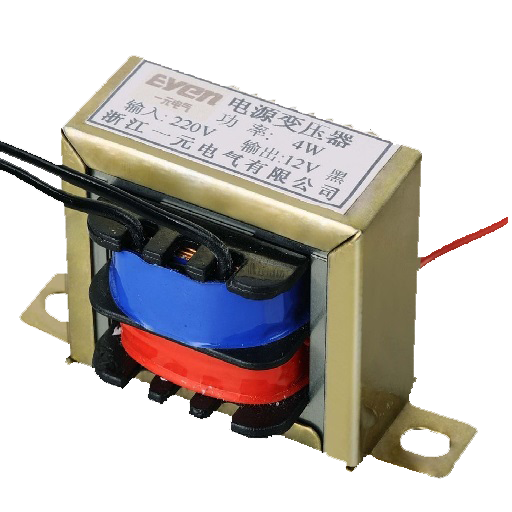 Now pulsating effect is removed by the use of this capacitor and smooth DC is obtained at some level. 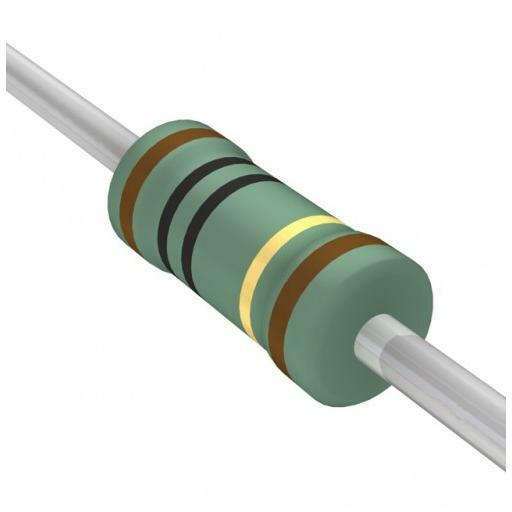 Now we add small capacitor C2 to remove fast pulses of noise. Now finally we add an LED D2 and resistor R1 as power on/off indicator. 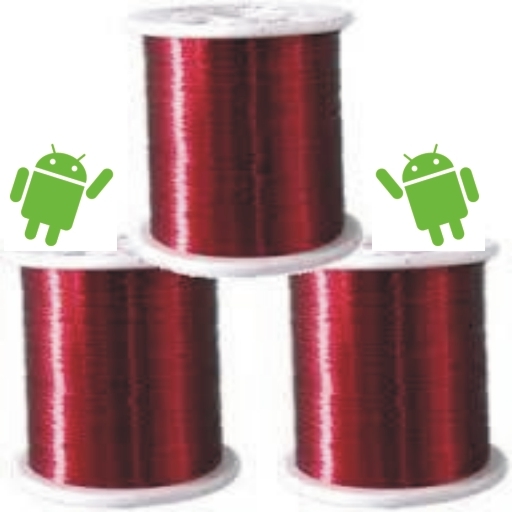 This network also work as to limit charging of capacitor. 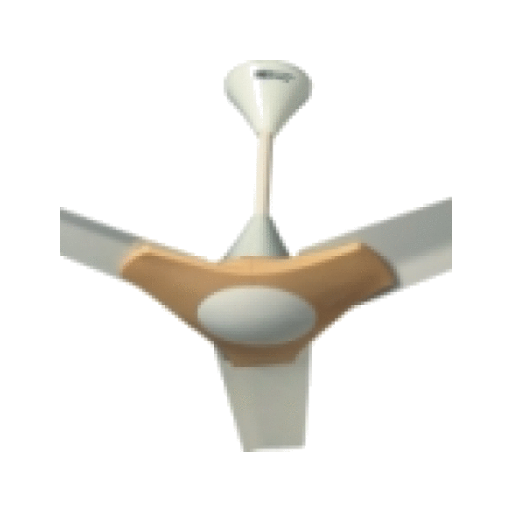 It provides a path for the discharge of capacitor. 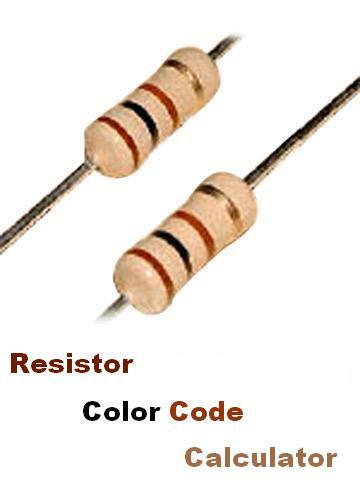 For this purpose we usually use a single resistor that is also called blade resistor. 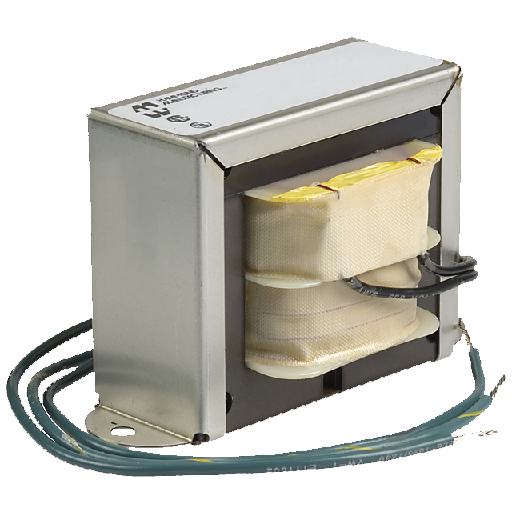 It limits capacitor charging to certain level so that load can be saved from over voltage. R1 also limits current through LED D2. 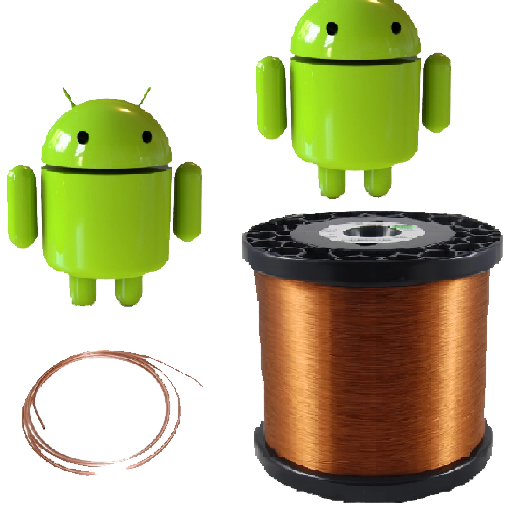 We will also upload interesting LED projects for beginners, students and hobbyist.